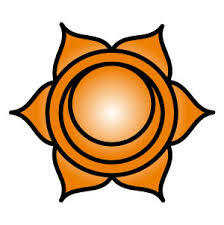 ​Throat Chakra, Fifth Chakra, Vishuddha. The Throat Chakra is a light blue/turqoise and when balanced is the colour of a pool of water you dream of swimming in. As mentioned earlier, the blue colour is influenced from the middle of the heart chakra and as we consciously breathe out we influence the ether/pranic/akasha energy around us. Depending on where we are depends on how much of this air we breathe back in, a confined space means the air we breathe out also contributes to the air we breathe in, which in turn contributes to the atmosphere created around us. One negative person in a crowded confined space will quickly affect the crowd because of the inhallation of the negative energy produced, in the same environment a happy or excited smiley child will quickly lift the spirits of everyone in an identical situation. 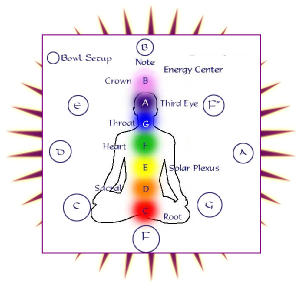 Once again the palm chakras stimulate the throat chakra, also the ear, nose and Heart chakras have a huge influence over this first of the higher "spiritual" chakras. 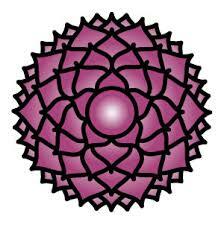 Common names associated for this chakra are: Throat, Fifth, Vishaddha, 16 petal lotus. 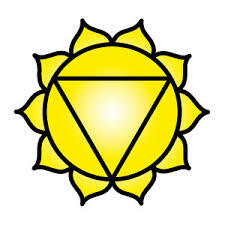 The Throat chakra developes from an early age and does not fully develop but between the ages of 25 to 35, this Chakra evolves into it's own maturity. 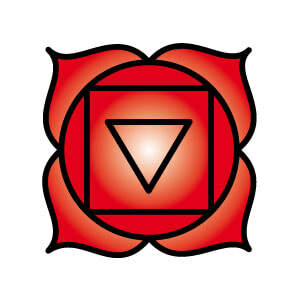 This chakra rotates anti-clockwise. Of our five human senses, exploring the sense of sound, to both make the sound and to hear the sound will help balance this chakra. 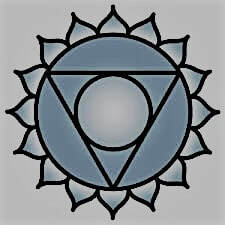 The throat chakra is paired with the root chakra, with one reminding the other of it's own limitations, the root chakra concerns itself with the physical gestures used for communication, whilst this chakra essentially works with the spiritual or etheric lines of communication. The two complimenting each other perfectly. The scent of a spring morning, or the air around a running stream will open and simplify this chakra. Equal breaths of a woman in child birth, or the equal long and passive breaths of Grandfather snoozing are the key to the daily maintenance. Equal breaths in and out with a deliberate and conscious effort will enable easy and smooth communication. The positive attributes to this beautiful blue Chakra are: Confidence, ability to see ourselves, truthfulness in speech, able to understand all forms of communication from all life force streams, expression of higher wisdom, natural teaching ability. 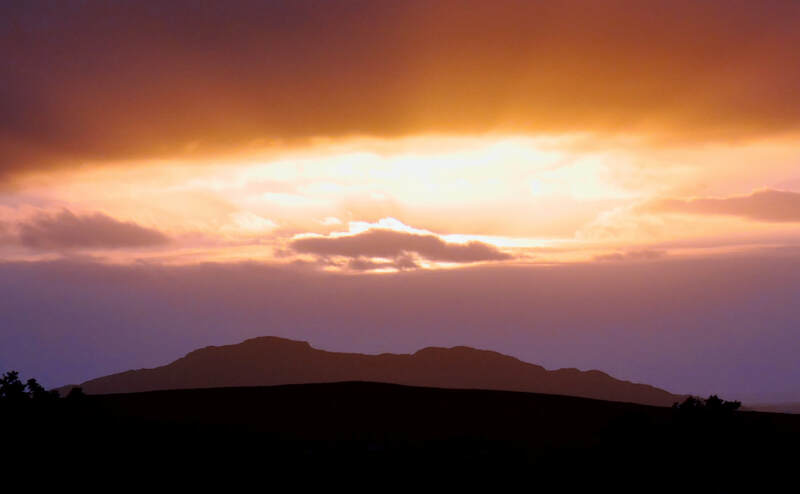 At the other end is the negative aspects brought forward from a soft, dull or shadowy chakra: Shy, reserved, unassuming, ego driven, power hungry, distance from people. Physical manifestations may be: Mouth ulcers, problems with teeth, throat or tonsils, frequent cold and flu symptoms. 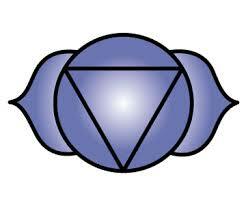 Throat Chakra, Fifth Chakra, Vishuddha. 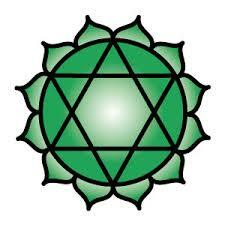 This Chakra encourages our earth body to accept our etheric body through breath. Modern Medicine has related the Throat Chakra to the Thyroid & the Parathyroid Glands, these being responsible for promoting normal body cells, they repair the blood cells, body cells and encourage brain growth. Most of what enters our body is done by passing through this chakra, the most important thing that enters our body is... Air! One technique to help align this chakra is to think about the quality of the air we breathe, to stand next to a Silver Birch or to stand inside the canopy of the Weeping Willow and inhale the life force streams gently, slowly and purposefully will help clear and balance this chakra.